CLOSEOUTS. 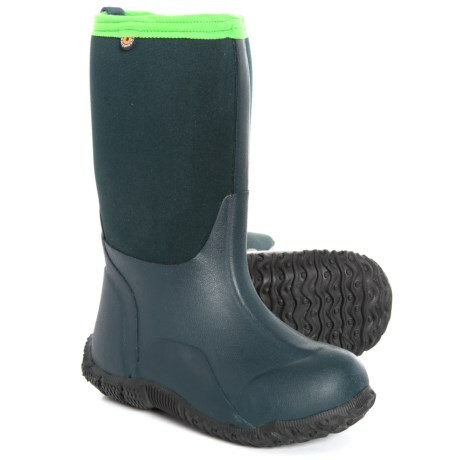 Stretchy waterproof material and a grippy rubber outsole make these Bogs Footwear Classic Neoprene NH SLD boots perfect for puddle hopping. Available Colors: NAVY/GREEN. Sizes: 11T, 12T, 13C, 1C, 2C, 4C, 5C, 6C, 3C.